Clare Valley is one of Australia’s best kept wine secrets. OK, so it’s not such a secret for hard-core Australian wine dorks (especially Riesling freaks, who are sadly few and far between). And granted, the big names such as Jim Barry, Wendouree and Kilikanoon are about as famous as Aussie Shiraz collectables get. But ask most collectors of top labels such as Jim Barry’s The Armagh, Wendouree Shiraz and Kilikanoon’s Attunga 1865 to name the region and I’ll bet they’ll pause for thought. Clare Valley is just that bit more esoteric than the better-known South Australian stalwarts such as Barossa Valley, Eden Valley, McLaren Vale and Coonawarra. Part of Clare Valley’s esoteric status stems from its rather remote situation. For a start, Adelaide itself is not exactly the bustling metropolis of South Australia that the other major wine states possess, such as Sydney (NSW) and Melbourne (VIC) or even Perth (WA). Then drive an hour in any direction from Adelaide and you’ll hit a major wine region – Barossa to the northeast, Adelaide Hills to the east and McLaren Vale to the south. Most wine day-trippers unsurprisingly do not feel inclined to venture any farther than those destinations. At nearly a two-hour drive (85 miles or 138 kms) north of the city, the wine heart of Clare Valley is just that bit farther off the beaten trail, with far fewer vineyards than these other South Australia regions and a lot more grain fields. In this respect, as a drive, it’s a bit like traveling to the Kansas of Australia, but for the northern part of the Mount Lofty Ranges (mountains) providing picturesque, undulating hills and, of course, altitude (400-500 meters / 1300-1600 feet) for the vineyards. And it’s altitude that really separates the styles produced from those of the Barossa. Even though it is to the north and latitude-wise should be “hotter,” the Mount Lofty Ranges offer a cooler feel thanks to altitude and diurnal (day / night) contrasts, especially necessary to produce top-quality Rieslings. The output here is tiny; Clare Valley only accounts for about 1.3% of Australia’s wine production from just over 40wineries (most with cellar doors), and a good proportion of production is of the world’s greatest and also most esoteric white grape: Riesling. 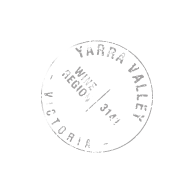 In fact, if Clare Valley is well-known among wine lovers, it is generally for its “Clare Valley Riesling” claim to fame, which is as much due to high quality as distinctive and, some would argue, austere style. It’s with this grape variety that a handful of wineries have rightfully become globally famous among Riesling lovers. These include my personal top producer picks: Grosset, Pikes and O’Leary Walker. Riesling pilgrims to the region may be suitably entertained by the 35 km bike ride or hike along the Clare Valley’s “Riesling Trail” (from Clare to Auburn), which was originally part of an old, abandoned railway line. Esoteric though it may be, boring it ain’t. A trip to Clare Valley is well worth the extra drive for its stunning scenery, historic buildings (this was one of the first regions in Australia to be settled and planted to vines) and distinctive wines. With very few regions in Australia (neigh the world) that can produce stunning Shiraz and Riesling, it truly is an anomaly in the wine world worth seeking out. Like in much of South Australia, 2012 was a dry, sunny and overall “outstanding” vintage for Clare Valley, with no extreme heat episodes and certainly nothing like the rains that affected the 2011 crop. A couple of hail incidents to the north of the region caused significant fruit loss in isolated areas. Otherwise it was generally a textbook vintage that provided mild conditions for optimal Riesling development. And indeed, this is a great vintage for high-quality Clare Valley Rieslings. If growers had anything to complain about, it was that yields for the red varieties – predominantly Shiraz and Cabernet Sauvignon – were down on average, though the quality was very good. The region took a dry turn toward the spring of 2012 and throughout the 2013 vintage, with overall rainfall down on the Clare Valley average. Taylors / Wakefield winery said, “In fact, over the entire season from September 2012 to April 2013 the rainfall was the lowest on record at the estate since 1973 at only 138mm. This is 40mm below the previously driest season of 2003/04 and 50% below average. In addition, during winter, the average daily minimum temperature at the estate was 1.1°C warmer than average, although budburst did occur at the normal time in early September. The dry and somewhat difficult conditions, resulting in lower yields from the season mean that the wines produced are quite full-bodied.” As with areas to the south, the styles of the reds are rich, concentrated and fuller-bodied, though none of these descriptors, of course, are at all atypical of this area of South Australia. The shorter growing season is perhaps the reason, however, that the wines do not have quite the ripeness of tannins and finesse of, say, the best reds from 2010 or 2012. Although it is still early days for judging the wines, similar to the Barossa, 2014 was something of a roller-coaster vintage of extremes and challenges for Clare Valley. The region experienced temporary bouts of high temperatures prior to Christmas and throughout early to mid-February, which undoubtedly had an impact on ripening. The results will depend on the stage of ripening of the vines when the heat bursts hit. After the mid-February heat wave came the rains. Two Hands commented in their Vintage Report for the area: “A burst of heat and hot north winds in the week prior to Christmas put stress on our Watervale Riesling and, subsequently, we experienced some sunburn damage. Clare was not immune from the extreme temperatures which followed in January and February. Out of all our regions we source from, Clare received the highest rainfall with 100-150mm falling in the space of 24-36 hours. Although yields were down in many Shiraz vineyards, quality, at this early stage, appears to be excellent. Our Clare vintage concluded in early April when a late burst of warm weather finally pushed Malbec through to flavor ripeness.” While there are these challenges to consider with regard to 2014, I’ll reserve judgement on the vintage in general, and the reds in particular, until I’ve tasted more of the wines. Thus far my tastings of 2014 have largely been of the Rieslings, which are in fact looking clean, very fine, and while youthful, are vibrant and approachable even at this early stage. With the 2015 crop fresh in the tanks, it’s still too early to comment on the vintage, except to say that for some growers in the area it was the earliest in their history. And it was a bit of an unusual one in that in some cases the white and red grapes were harvested at the same time, putting considerable logistical pressure on the wineries. How this impacted the wines remains to be seen, but I’m planning to take a look at Grosset’s newly bottled Rieslings in September with a special report to follow, offering a peek at this curious vintage. 94 pts Kilikanoon Revelation 2010 The inaugural vintage of this wine, the 2010 Revelation Shiraz is the finest Shiraz of the vintage. Deep garnet colored with a hint of purple, this 100% Shiraz has a complex, slowly evolving nose of baked plums, black berry preserves and dried mulberries with sautéed herbs, anise, aged meat and game plus hints of cigar boxes. Medium to full-bodied and quite elegant, it is more spicy in mouth and has velvety tannins, well balanced acidity and a long, layered finish. 93+ pts Kilikanoon Baudinet Blend 2013 Medium garnet-purple in color, the 2013 Baudinet Blend Grenache Shiraz Mataro is slightly closed showing warm red cherry, red currant and raspberry notes accented by mint, cloves, violets and orange peel plus a hint of pepper. Full-bodied, it shows more restraint on the palate shaped by firm and grippy tannins before finishing long and savory. It is still very youthful and needs time. 93+ pts Kilikanoon Covenant 2013 Deep garnet-purple in color, the 2013 Shiraz Covenant offers an intense, crème de cassis, baked blueberries and black forest cake nose enhanced by tar and chargrill and black loam nuances. This big, full-bodied wine is densely packed and structured like a brick house with firm and chewy tannins, good acid freshness and a long, earthy finish. It needs time. 92 pts Kilikanoon Mort’s Reserve Riesling 2014 The 2014 Riesling Mort’s Reserve has an intense nose of spiced apples, pears, honey and yeast. Dry, light-bodied and approachable, the palate has nice freshness and a long, apple-laced finish. 91 pts Kilikanoon The Duke Grenache 2012 Pale to medium ruby with hints purple, the 2012 Grenache The Duke Reserve presents attractive aromas of red cherries, raspberry preserves and mulberries over potpourri, menthol, dried herbs and pepper. Full-bodied, the palate is more savory and earthy than the nose and has chunky tannins plus just enough freshness on the long finish. 91 pts Kilikanoon Block’s Road Cabernet Sauvignon 2013 Medium deep garnet-purple in color, the 2013 Cabernet Sauvignon Blocks Road presents classis cassis, cloves and menthol aromas accented by eucalyptus, lavender and chocolate. Medium-bodied, fine and tightly-knit, the palate has a nice freshness, fine tannins and a well-poised finish. 90 pts Kilikanoon Prodigal Grenache 2013 Pale to medium garnet in color, the 2013 Grenache Prodigal has a spicy nose of baking spices wrapped around a core of kirsch, red currant jelly and baked raspberries with some dried roses and dusty earth nuances. Full-bodied and mouth-filling, the palate is framed by silky tannins, and shows a nice freshness and balance before finishing long. 90 pts Kilikanoon Mort’s Block Riesling 2014 The 2014 Riesling Morts Block has a very floral nose of orange and peach blossoms plus honeyed notes with touches of spices. Approachable, intense and crisp, it finishes long and pure. 90 pts Kilikanoon Killerman’s Run Riesling 2014 The 2014 Killerman’s Run Riesling begins with aromas of white pepper, lemon juice, apples and, aniseed then moves to an open and approachable palate that has wonderfully crisp acidity and very good fruit intensity. It finishes long and zesty.